At this point, it’s fair to say that Halo 4 is a worthy addition to the iconic Halo franchise. The guys at 343 Industries have done an awesome job of creating an engaging game and, dare we say it, a revolutionary multiplayer formula that gives us something new. We’re really like the concept of Spartan Ops, an episodic, story-based co-op campaign, for one and it makes us look forward to what else Halo 4 has to offer in the multiplayer front. Matchmaking updates go live every Monday, and potential playlists for the month of February include both FFA and a new and improved version of Team Snipers. Late February will also bring both a Title Update and the Majestic Map Pack (which includes two small maps and one medium-sized map) to Halo 4 as well. Expect more information on all of those things next month. 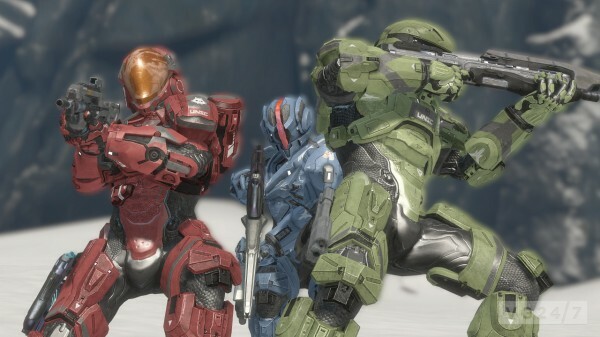 For more Halo goodness, we also have the arrival in late February of a new Halo 4 update and the War Games Majestic Map Pack which contains two small and one medium sized maps — Landfall, Monolith and Skyline.